Individuals who are considering purchasing a safe often want it to be made in the United States. However, many American companies focus their manufacturing operations in other nations. Understanding what commodities have been made in America is becoming increasingly difficult. Today, a product has to be “all or virtually all” produced in the United States to be considered American made. Before globalization, any product an individual bought in America was generally made in America. However, in the late 1990s, it became difficult to determine where products were made. For example, products can be labeled “Made in the USA from imported parts.” Other products may be labeled “Assembled in the United States,” which means the products parts probably imported and then put together in the United States. In today’s global economy, it can be difficult to determine where your gun safe was created. 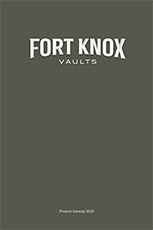 Here at Fort Knox, every premium safe or vault we sell is made the United States of America. Our products also use premium materials to help you store your precious coin collections, stamps, your favorite gun and ammo or photo albums. Individuals who wish to experience unequaled security, fire protection and a lifetime warranty should consider investing in a Fort Knox safe or vault.